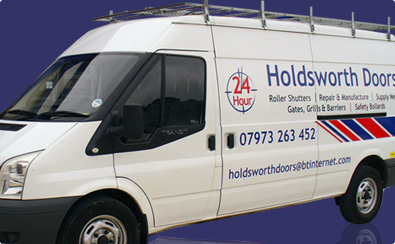 Holdsworth Doors offers a 24 hour emergency call out. Our trained, experienced engineers are equipped to deal with all problems, break in or accidental damage. Holdsworth Doors prides itself on our swift response to emergency call outs. We appreciate the concerns of our customers regarding security and would always aim to ensure to leave all sites secure. We understand the needs of our customers and believe that our 24 hour emergency call offers peace of mind in the knowledge that our rapid response will reduce down time and inability to trade. Holdsworth Doors offers a comprehensive service package, suited to the individual needs of our customers.